Tragedy has befallen one of America’s greatest songwriters and it’s left music fans everywhere completely heartbroken. Legendary folk artist Paul Simon has announced a Simon & Garfunkel reunion tour after being catfished by someone impersonating Art Garfunkel. This is absolutely devastating. What kind of soulless monster would do this? Simon announced the reunion this morning on his Facebook page, and it’s painfully obvious he’s being duped by someone posing as Art Garfunkel as part of a scam, but Simon is falling for it hook, line, and sinker. This is a complete disaster. Despite hundreds of comments from fans pointing out that the email is clearly BS, Simon has continued to post updates on the reunion tour including dozens of concert bookings and links to purchase tickets. Hopefully Paul will come to his senses before the wire transfer is complete, but even if he manages to get the money back, he’s going to be completely destroyed once he realizes it was all a scam. 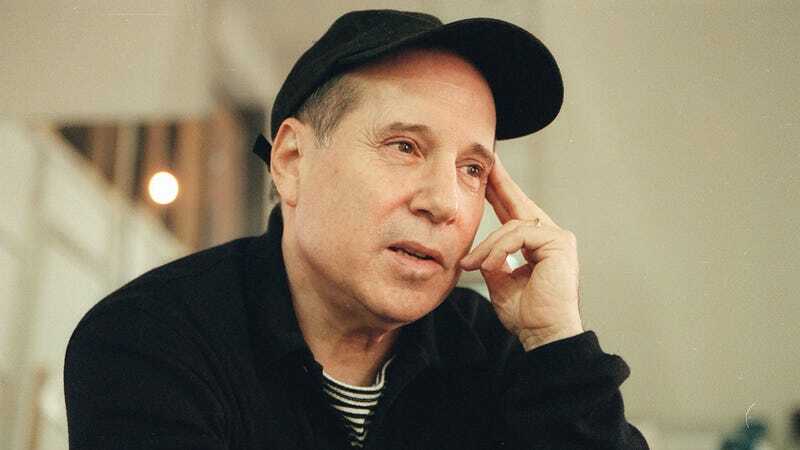 How Many Of These Paul Simon Songs Have You Heard?